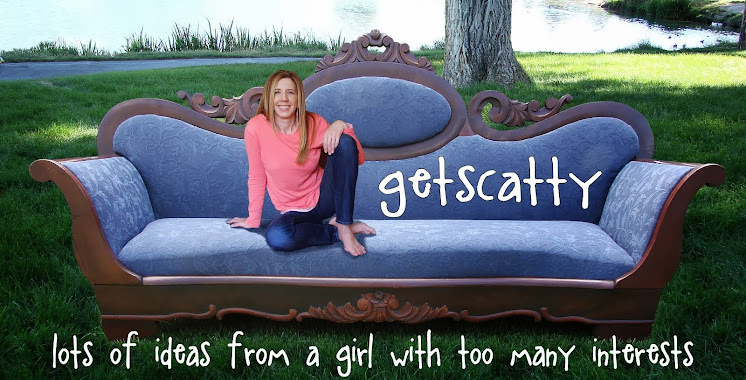 Get Scatty: Using what I’ve got…. Doing a little laundry room make-over! Using what I’ve got…. Doing a little laundry room make-over! Being currently unemployed, I am keeping myself busy with projects in my house and trying to do them as cheap as I can….. Not so different than usual actually. 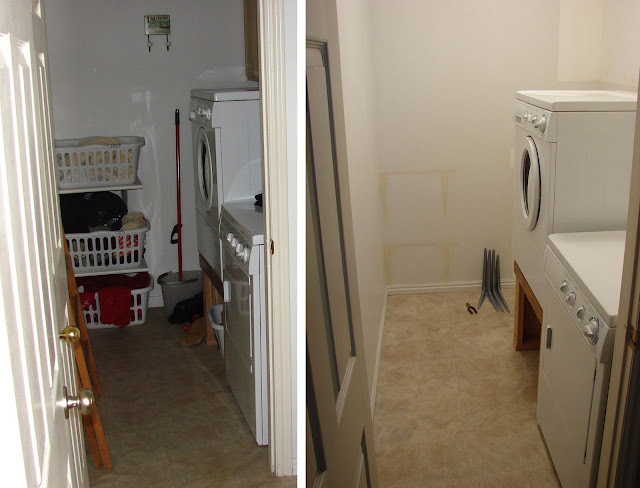 I decided I wanted to improve my laundry room, and make it feel like I have more space. When we bought this house a few years ago I quickly built a platform to put my new front load washer up on so I wouldn’t have to bend over to load and unload it. I thought I would also raise my dryer, but then decided if I did, I couldn’t use the top of it, so keeping it on the floor was best. Especially since the cabinets along the wall above the machines would mean I couldn’t set anything on top of the dryer if it was raised. Anyhow…. 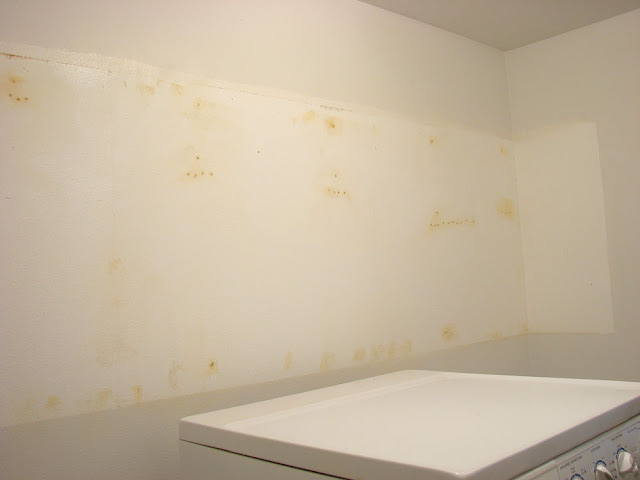 I got a flea in my hair about these cabinets along the wall that have always felt in the way since I kept rags and dryer sheets in one of them and the others remained unused. 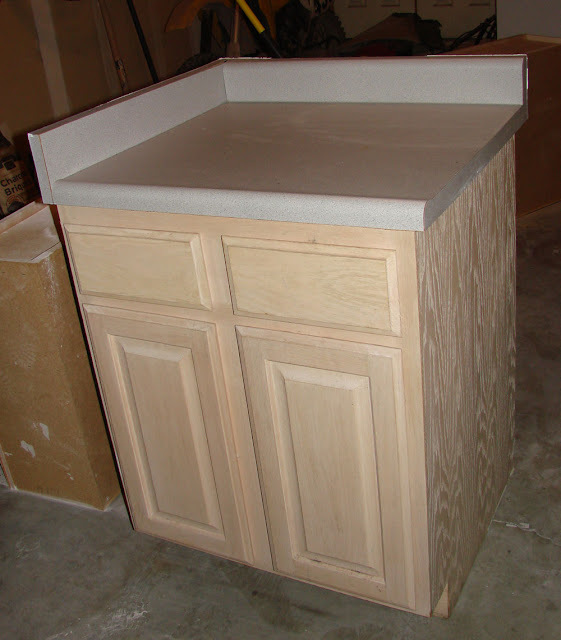 I also had a corner cabinet on the left side of the washer that served for me as a shelf. What a waste of space! I didn’t think to take a picture before I ripped out the cabinets since it was a spur of the moment idea. Then they were out in a matter of 10 minutes! THREE screws held each cabinet to the wall, and the bottom corner cabinet… that was only held in by TWO screws. Badda bing –gone! Don’t know if you can tell by this photo, but there were loads of holes in the wall under the cabinets. So I had some patching to do. 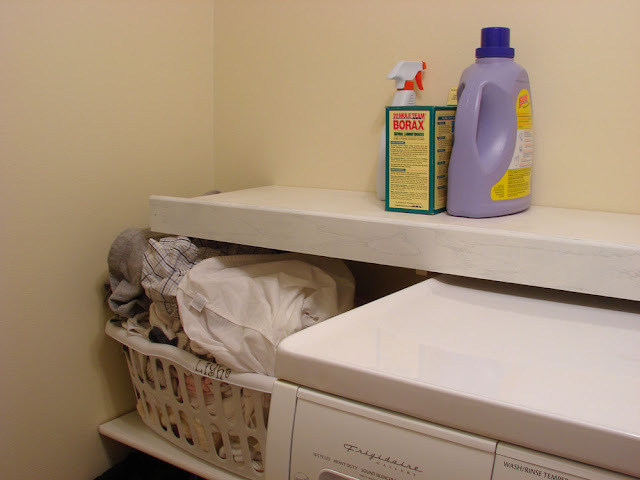 I had also previously put some shelves in the laundry room for dirty laundry baskets. Light, Dark, & Red. Now that the corner cabinet was gone, I could move the laundry baskets into the corner, thus making me feel like I had more room, and actually HIDING the dirty laundry from view when standing at the laundry room door! Bonus! Ok enough of the boring stuff! Here’s the best BEFORE pictures I have. A couple things I really like about this room now…. 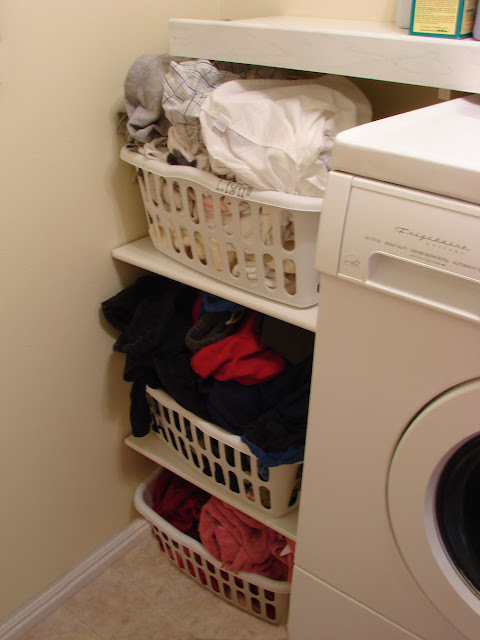 *I have a gap under both the washer and dryer where I keep laundry baskets. 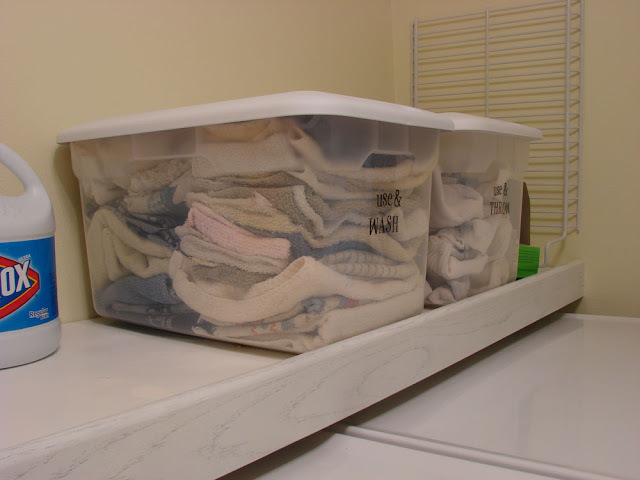 Under the washer is the basket for the clothes that come out and need to be hung. Under the dryer I have two baskets for clean dry clothes to be carried upstairs. They stay out of the way, and then just slide out to have clothes dropped into them. If I had the typical raised boxes that are sold with these machines I would have paid about $300 for storage that I wouldn’t use because I hate bending over. My 2x4 platforms are just the job! I would like to take the time to paint them white, but I haven’t got there yet. *You can’t see I have dirty laundry in baskets living left of the washer. *My shelf above the washer and dryer is long and all the storage I need. It’s still a work in progress because I want to do a couple more things in here. So, let me tell you the few things I did to save some money! *I didn’t buy any paint. I combined two half cans of what I had creating this pale yellow color. *I used scrap 2x4’s to build the platform I raised the dryer onto. 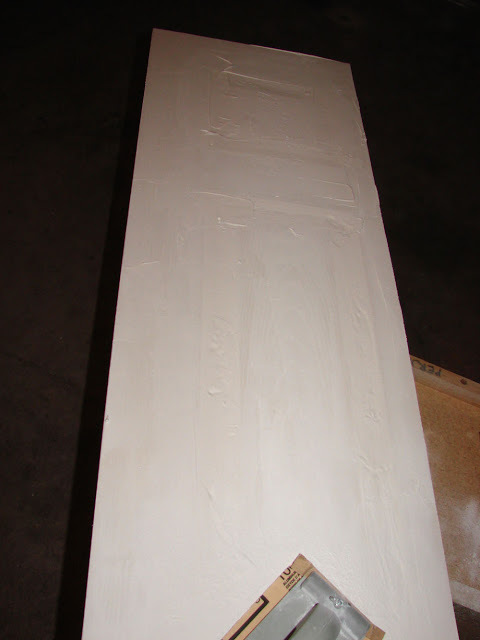 Then I sanded the joint compound down, primed the shelf, and painted it white. Then I painted a strip of frame molding white and glued it to the front edge of the shelf. 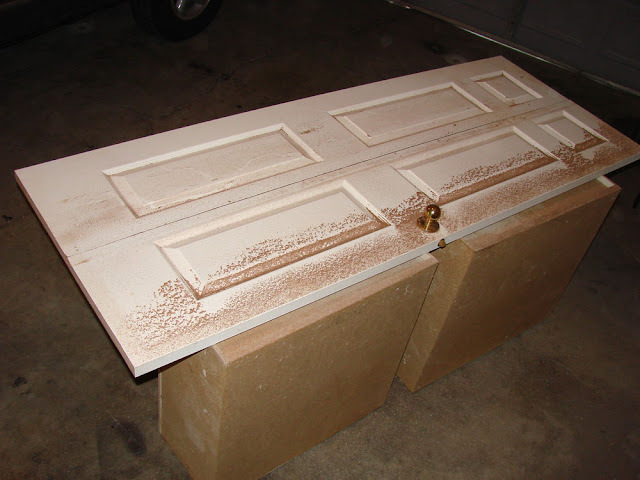 Worth knowing… the joint compound takes time to dry when it’s the depth of door panels. Also, it shrinks, so it needs to be filled in a second time after it dries. (This meant that my shelf was one of the longest processes for my room.) The door is hollow, so the joint compound didn't make the shelf too heavy. Just heavier. Some things I spent money on in the past for this room…. *These dirty laundry baskets. I got them at “Wally World” for around $3 each. Ok, I think that’s it for now! 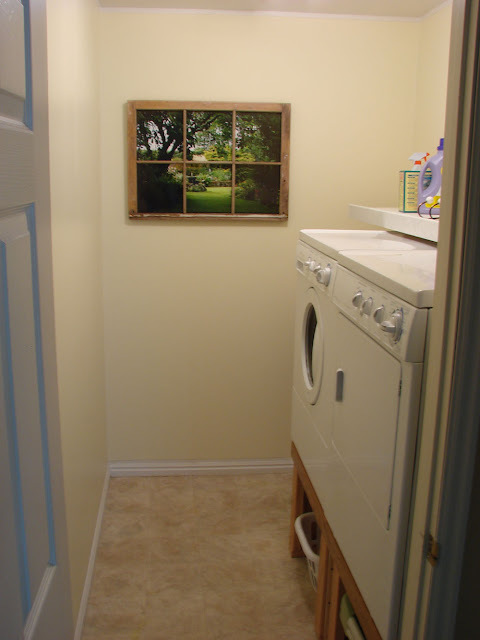 I do hope I gave you some ideas for YOUR laundry room! Outta This Funk Blog Hop Friends… (those “blopping”) Please move on over to the amazing Regina Easter! come over here and help me! WOWWWWWWWWIEEEEEE! You always leave me with my mouth hanging open! You are AMAZING!!!! Hugs and Blessings! Great job, looks like you are giving your entire house a facelift. Oh this is sooooooo awesome!! Looks so cheerful now! wow great job with the make over. Sooo organized! I think I need to hire you! Love the window frame photo... great idea! OMG Nat-I am sitting here holding my head... shaking it in disbelief.... the things that you do! You are absolutely fearless and soooo original! Great job on the re-do! Great work! I love the window frame print you put in that room, too! Would you like to come and organize my mess?? lol! Great ideas - thanks for sharing! Your room looks great! I've said this before and I'm saying it again....You need your own TV show! You should be on the DIY network...you never stop amazing me with your awesome makeovers!!!! Nat, you are AMAZING! OMG, girl, you can do just about anything, can't you? I've been wondering what to do with my laundry room, which is large but not well organized, and you have given me some great ideas! I wasn't expecting THAT on the blog hop, LOL! I've bookmarked your blog, and I'll be coming here often to see what crazy and wonderful things you are doing! Hugs!! Wow, now that's a project!! Awesome as usual Nat! Now if I could do that and have all my laundry finished that would be the miracle. Nice fresh look to your room. omgosh, Nat! You always amaze me!!! You have such a creative eye. ok um, we are trying to think of storage ways for our laundry room, and I did buy 2 cabinets, but not sure they go. Love the one mels had posted. When ya coming down to help me do mine? (wink) love it nat! Natty, you ROCK! wow, wow, and more wows coming from me! Great make over, looks now like a very useful space! doesn't she leave you for a mouth dropping adventure everytime you visit!! girl, you so need to take a trip to Mobile and give my house some loving on a budget!!! YEAH I used to have you book marked! Lost you and now you are found! I was so excited when I saw your header and recognized it!!! I still think about your cool table you made out of doors! I surfed on to your blog while looking for ideas to hang-dry my landry. My next project is a laundry room makeover and I LOVE your simple washer dryer stands - I have the same set as you. Is it just a 2x4 frame supporting the edges? or is there something under the whole bottom of the appliance? Any tips if I try and do something similar? Inspiring you to get your artist on! A Cat Tree, & A Christmas Tree. A mini-make over for a guest room.